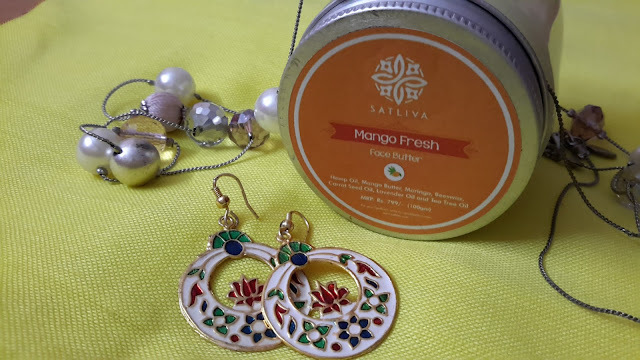 Today, I will be sharing my experience about SATLIVA products. SATLIVA products are made from Hemp seeds, sourced from the Himalayas. Hemp seed oil is extracted from these seeds using the cold press technique, which retains the natural nutrients & flavours of the oil. It's then combined with other oils to produce an all-natural, chemical free skin care product. 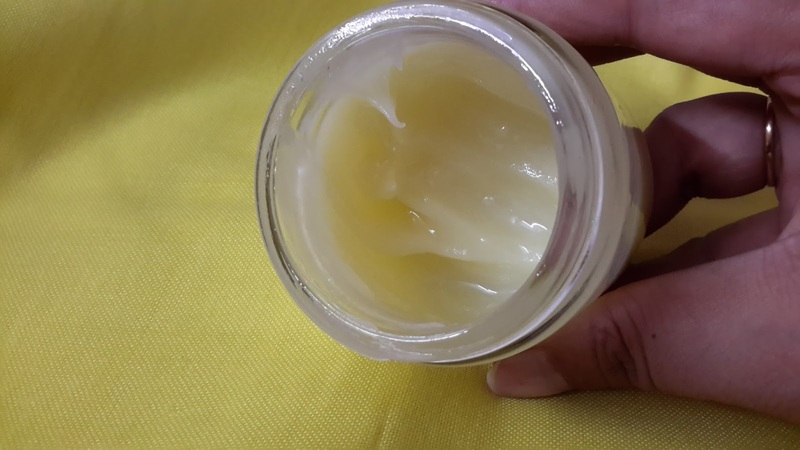 First Impressions - I was a little surprised to see that the Body butter & Face butter didn't have the creamy, buttery texture that such kind of products normally have. 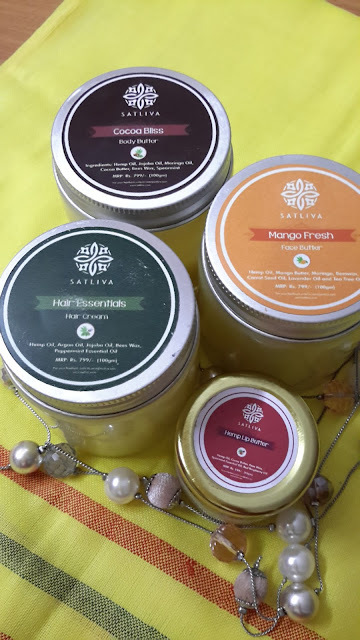 If you've used body butters & creams from other brands, you'll see that SATLIVA products have a different consistency (actual pic of product at the end of the post). This was an instant hit with my dry, chapped lips. 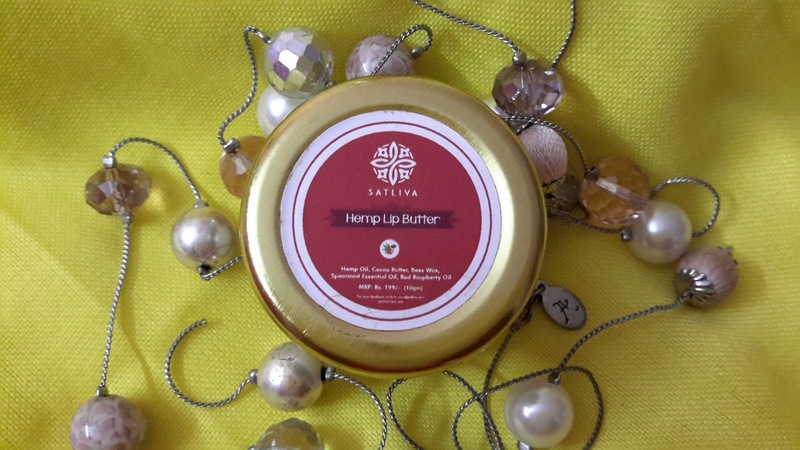 I use this as an overnight treatment for my parched, matte lipstick-loving lips. This one is a must-try from that range. Cuz. You know. Raspberry!! 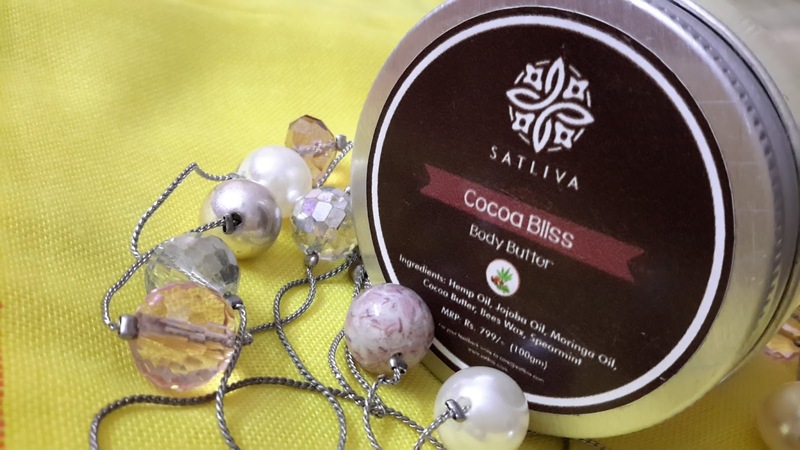 With the goodness of Jojoba Oil, Moringa Oil, Cocoa Butter & Spearmint, this one's my absolute favourite! I have made this a part of my night-time routine & having been loving the results. It not only softened my knees & elbows but worked wonders on my feet, which btw I'm guilty of not showing much love to. Massage this on to your feet and wear socks, you'll wake up to baby-soft (& visibly better-looking) feet. Although, this particular product came to me slightly liquified, I must say this has been the one to impress me the most. I kept it in the fridge for a couple of hours & it was good to go. Like I mentioned before, I found these products to be pretty oily & hence made them a part of my night-time routine. I've noticed that my oily/combination skin takes time to soak up the goodness of these products & till then looks quite greasy. (PS - Despite the greasy look, none of these products have broken me out till date). The Mango Fresh Face Butter that I received doesn't have a strong Mango scent..actually, it doesn't have a Mango scent to it at all. I had used up my Facial Oil & was looking for something to battle the non-stop air-conditioner all night. The Mango Butter is doing great on that front. It's got Carrot Seed Oil, Lavender Oil & our trusty Tea Tree Oil. A heavy-duty cream that I should have gone easy on. Lesson learnt - a little goes a long way, with this one!! 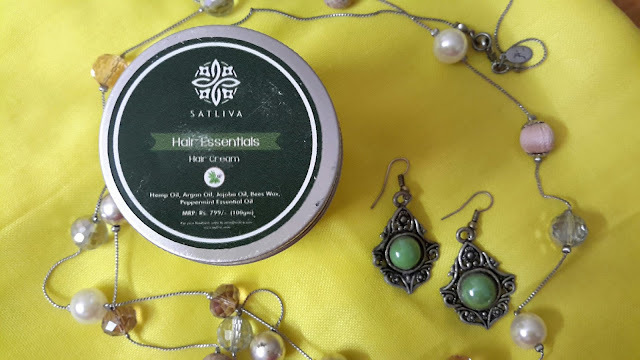 The Hair Cream is enriched with Argan Oil which nourishes the hair from within & the Peppermint Oil gives it a cooling effect...& that my friends, feels heavenly. Heads - up : You might need to shampoo 3 to 4 times to wash this off. The cream is quite heavy & I strongly suggest using this on days that you can relax & pamper your hair, with some deep nourishment. Ideal for an ''At-Home Spa Session". It nourishes the hair deeply and leaves it tangle-free, soft and smooth. 1. Glass tubs, not very travel friendly. 2. Oily consistency, best if included in your night time routine (my opinion). 3. Price point, slightly on the higher side. 1. Quality skincare without any chemicals. 2. Good for any skin type. A must-try for Dry skin! Doesnt break out oily-combination skin. 3. Freshly made when you place an order, so no issue of old batches in your delivery. Overall, I'm pretty happy with the products after having used these for over 4 weeks now. I look forward to repurchasing my favs from this range in the future. Part 2 of 2 coming up in the next couple of weeks.. Watch this space for more! Note : Brand sent across products in exchange for an honest review. This is not a sponsored post. I haven't tried their products but the entire range sounds amazing. All natural & really good! Give at least one a try, you wont be disappointed.